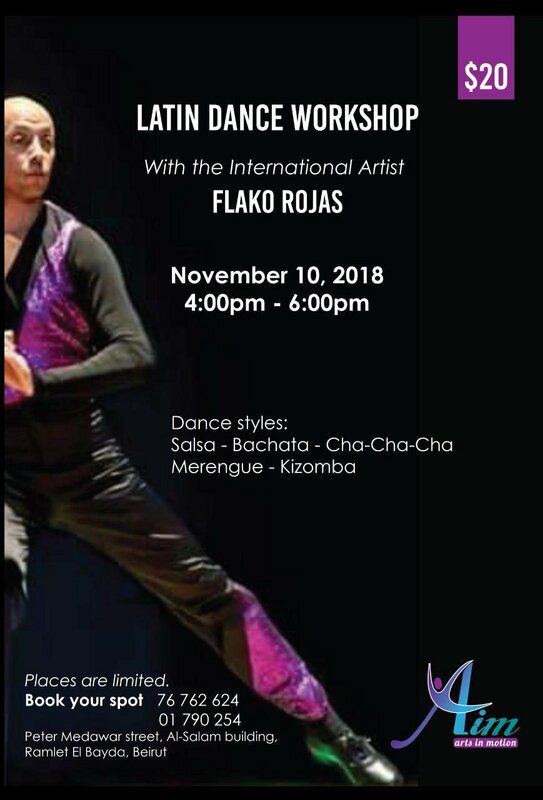 Book your spot at the Latin Dance Workshop with the international artist Flako Rojas. 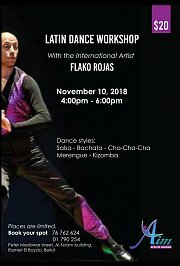 Dance styles: Slasa, Bachata, Cha Cha Cha, Merengue and Kizomba. Places are limited, for RSVP contact Aim Club on 76 76 26 24 or 01 790 254.